Yokozuna located in Chadstone Shopping Centre is a Japanese eatery specialising in ramen. 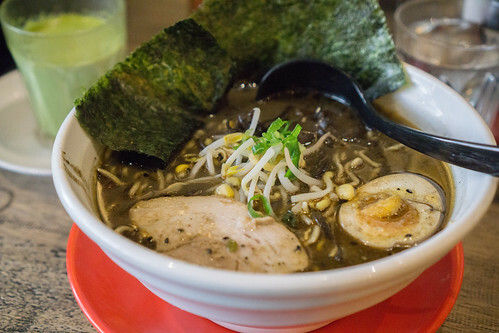 Yokozuna has a few different flavoured broths to choose from to go with your ramen such as Tonkotsu, Red Ramen, Vegetable Ramen, and they even had a Black Sesame flavoured broth as an option too. While, Yokozuna specialise in ramen, they also offer bento boxes, rice and udon dishes as well so there’s plenty to choose from. The Spicy “Red Ramen” with Pork had a lovely spicy broth. You can’t choose how your noodles are cooked unfortunately and the noodles weren’t nearly enough for the price charged. 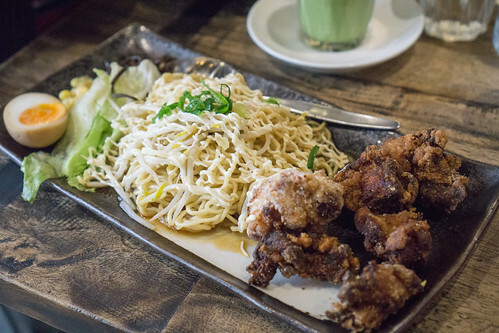 Fried Chicken Ramen with sauce (Karaage) had a lovely flavour to it. However, when they first gave us this dish the chicken was to the point of being burnt. While they did replace it with a new batch, that was tender and moist. It’s disappointing that they tried to give us burnt chicken in the first place. The Black Ramen is ramen with a black sesame flavoured broth, it has a slight sweetness to it with the aroma and taste of toasted black sesames. Interesting flavour, but one I probably couldn’t eat the whole thing of as I found it oddly rich. 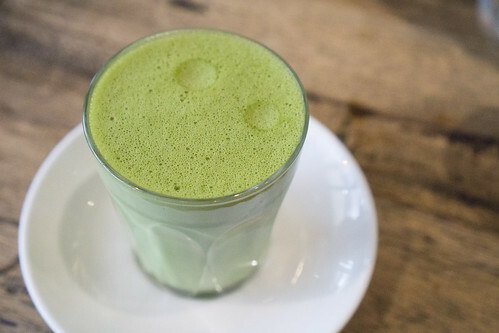 The Matcha Latte is frothy, but overly milky, not enough green tea flavour and not smooth at all as you can taste the green tea powder while drinking it. Yokozuna is unfortunately quite mediocre in all aspects. 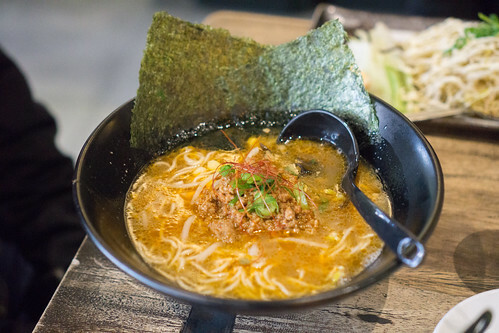 While there are some positives, there are plenty of better choices for ramen in Melbourne and better choices for food in Chadstone Shopping Centre as well. Stay updated by subscribing to the RSS feed.